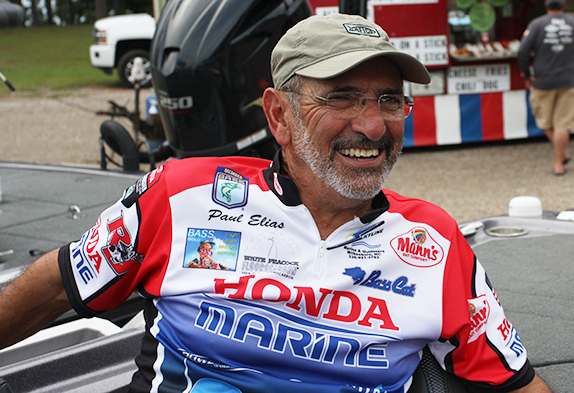 Paul Elias' past achievements and his continuing desire to make a positive impact on the sport resulted in him receiving an invitation to compete on the Bass Pro Tour. 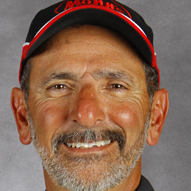 At 67, Paul Elias will be far and away the oldest competitor fishing the Bass Pro Tour in its inaugural season. Heck, a hefty percentage of his fellow BPT anglers weren't even born when he won the Bassmaster Classic in 1982. Obviously, the grizzled Mississippian isn't on the roster due to his recent Elite Series results. He's qualified for only two of the past 13 Classics (the most recent was in 2015) and he had a particularly rough go this year, finishing 55th or lower (outside the money cut) in all eight events and landing at No. 105 on the points list. 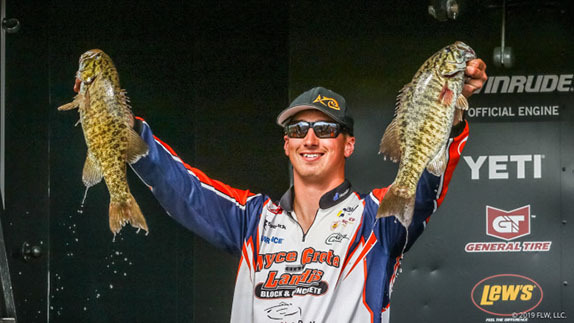 MLF officials have proclaimed all along, though, that with taking the sport to a larger audience the primary goal of the BPT, criteria other than recent performance was factored into the angler selection process. Elias' past achievements (the Classic win, the B.A.S.S. four-day weight record of 132-08 set at Falcon Lake in 2008, etc. ), combined with him being an all-around good guy and someone who looks at the sport from a much broader perspective than just what will benefit him personally, was sufficient to garner him the invitation. 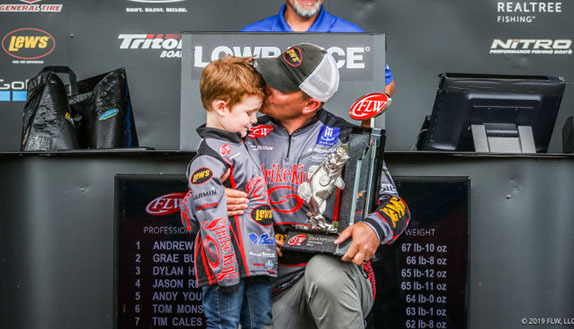 "He's got some serious credentials and a ton of veteran knowledge, but on top of that, he's always been a great spokesman for the sport," said MLF co-founder Boyd Duckett. "He's got a great personality, he comes across well on TV and he wants to be part of making a difference in the sport and leaving a legacy for the future. "He fit a lot of our criteria and we're really proud to have him." Elias said he wasn't exactly shocked to receive a BPT invitation, but "I wouldn't have felt wronged if I hadn't." He remained on the Elite Series the last two years only via the Legends exemption that awards points for Classic victories and Angler of the Year titles. He thinks he stands a chance to fare pretty well under the MLF format of counting every legal fish caught during a competition day. "Naturally, the guys who've done the MLF thing for years are going to have an advantage and I think there's quite a few anglers who are going to have to make some changes to their styles, but I think it's going to complement my style to a certain extent," he said. "Some of that will depend on how much time we're going to have to fish during the day, and we haven't been told that yet, but it could open the door to a lot more offshore stuff. "A guy who goes out and finds a school of pound-and-a-half to 3-pound fish can excel in that format vs. a guy who goes out and gets seven or eight bites." He used the St. Lawrence River, a frequent venue for the Elite Series, to expand upon his point. "Say you go there and you know it's going to take well over a 3-pound average of smallmouth (under the five-fish limit format) to get a check. Now say I went out and caught 30 smallmouth and brought in five that weighed 16 pounds. If it took a 3 1/2-pound average, then I'm a pound and a half off at the end of the day and probably in 80-something place. "But maybe I caught 20 more fish than some of the guys averaging 3 1/2 pounds. That would really come into play." Elias was heavily involved in the now-defunct Professional Anglers Association (PAA) when it was founded in the mid 2000s and had hoped that it would evolve into an effective angler advocacy organization, but that never transpired. Eventually, it's No. 1 function was to offer members an additional series of tournaments, but it ran into all kinds of hurdles, many of them involving sponsorship conflicts. "I was totally against holding our own tournaments and as soon as that started I could see the writing on the wall," he said. "After that, I just kind of backed off and left things alone. All the while I was listening to a lot of the anglers, most of the younger ones, complaining about the entry fees and the payouts (on the Elite Series and FLW Tour) and they just didn't understand how much power they had. It took something like the BPT to come along for them to see the light. "It took a big thing like a 70-percent exodus (from the Elite Series to the BPT) to wake everybody up. If that didn't happen and everybody just continued going along with it, then why would anything change? It would've been the same old thing it's been all along." Now he's interested to see the specifics of how the MLF folks go about presenting BPT tournaments to fans without a weigh-in at the end of each day as the centerpiece. And at this point, he's not giving a lot of thought to when his long career will reach its conclusion. "I'll do this three-year deal for sure (BPT anglers have received a guarantee for that duration) and then we'll see where we're at. They'll either kick me out or I'll have to decide whether I'm going to stay or not." > Elias recently had surgery on his left (non-casting) rotator cuff and hopes his shoulder will be completely rehabilitated by the time the BPT season kicks off in late January. "It'd bothered me bad for about a year and a half � I had two tears and some bone spurs in there and it got to the point where I knew I had to do something. The biggest handicap had been landing fish. I'm just so accustomed to landing them with my left hand and I lost a few when I couldn't get a grip; I'd get stretched out and it just hurt too much." 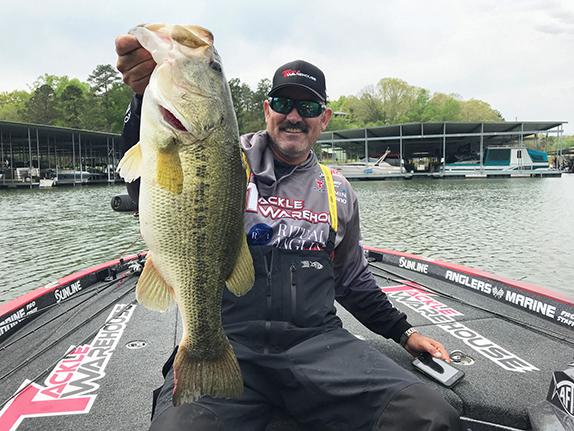 "I probably have the most respect for Rick Clunn and Larry Nixon for what they've accomplished over their careers, but I'm more or less in awe of Kevin VanDam's ability." Lake Eddins (MS) - "It's the lake I live on, and has more big fish per acre than any lake I've ever fished." "I don't really have a least-favorite lake." "Because I love the sport and I love competition."